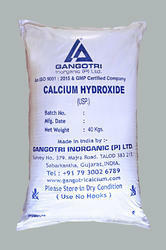 Our product range includes a wide range of calcium hydroxide bp usp ep jp, calcium hydroxide jp, calcium hydroxide bp, calcium hydroxide usp and calcium hydroxide ep. 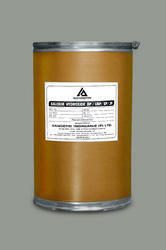 Used widely in dental surgeries and as an ingredient for plaster, the offered Calcium Hydroxide BP USP EP JP is one of the best options available in the market. Manufactured in accordance with the set industry norms and guidelines, its quality is highly standardized. Owing to the finest ingredients used in its making, the product has a superior effectiveness and an unmatched service life. Used widely in dental surgeries and as an ingredient for plaster, the offered Calcium Hydroxide JP is one of the best options available in the market. Manufactured in accordance with the set industry norms and guidelines, its quality is highly standardized. Owing to the finest ingredients used in its making, the product has a superior effectiveness and an unmatched service life. In order to provide maximum satisfaction to our clients, we engage in using the finest ingredients in a perfect combination for processing this range of Calcium Hydroxide. Manufactured in accordance with the industry set norms, its quality never deteriorates. In addition, the offered range marked at the best rate possible has a high preference in the market. In order to provide maximum satisfaction to our clients, we engage in using of the finest ingredients in a perfect combination for processing this range of Calcium Hydroxide BP. Manufactured in accordance with the industry set norms, its quality never deteriorates. In addition, the offered range marked at the best rate possible has a high preference in the market. Used widely in dental surgeries and as an ingredient for plaster, the offered Calcium Hydroxide USP is one of the best options available in the market. We manufacture Calcium Hydroxide USP in accordance with the set industry norms and guidelines, its quality is highly standardized. Owing to the finest ingredients used in its making, the Calcium Hydroxide USP has a superior effectiveness and an unmatched service life. Used widely in dental surgeries and as an ingredient for plaster, the offered Calcium Hydroxide EP is one of the best options available in the market. Manufactured in accordance with the set industry norms and guidelines, its quality is highly standardized. Owing to the finest ingredients used in its making, the product has a superior effectiveness and an unmatched service life.